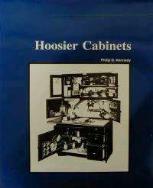 1-1/16" high x 4 1/8"wide x 1-1/4"
Hoosier Cabinets By Phillip D. Kennedy. these old kitchen cabinets. Softcover, 168 pages.